Step aside, Millennials. There is a new generation in town. Generation Z homebuyers are poised to enter the real estate market. Generation Z, also known as the “Net” or “Digital” generation, comprises those born from about 1996 to 2010. The oldest among them are now in their twenties, and many are starting to enter the housing market for the first time. In 2015 Fast Company reported that this group makes up 25 percent of the U.S. population, making them a larger cohort than either the Baby Boomers or the Millennials. Generation Z is the least likely to believe in the ideals of the American dream. They carry high amounts of student debt, with 46 percent feeling concerned and burdened by it. Because most lived through 9/11 and all have lived with terrorism, they have more feelings of being unsettled and insecure. With lower rates of teen pregnancy, alcoholism, and drug use, this generation is more risk adverse. They have seen an unprecedented amount of technological change. They are heavily reliant and consistent users of technology, such as cell phones and tablets. They are more educated, more underemployed, and more culturally diverse than generations that have come before them. This new generation is more conservative than previous generations, but members have an entrepreneurial bent. Many of them are eschewing a traditional career path, opting to freelance instead. Perhaps seeing older generations struggle and live through the financial crisis has made them think differently. This new generation is more conservative than previous generations, but members have an entrepreneurial bent. This generation values home ownership and sees it as an ultimate life goal. In fact, 97 percent of Generation Z believe they will own a home in the future. Eighty-one percent plan to use a real estate professional during the home-buying process. Their most-used social media sites are Snapchat, Twitter, Tumblr, and Instagram. 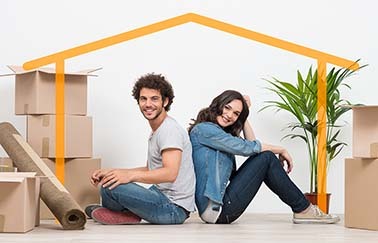 Many expect to purchase their first home between the ages of 26 and 30. Many want brands to reach out to them on social media versus email or online advertisements. Half of Generation Z use their phone to look for a better price while shopping at a retail store, perhaps reflecting their existence in a digital society wrought with technological innovation and instant connectivity. Most would rather save money than spend it. They will likely look for ways to save money in the homebuying process, perhaps opting for affordable, functional homes. Most use their phone to research purchases before they buy. Half of this generation identifies themselves as deal seekers. Nearly three-quarters expect to experience significant failure before achieving success. A vast majority of Generation Z believe their online experiences will help them reach their goals. They prefer the suburban lifestyle, like Millennials, but only 17 percent want to live in the same place where they grew up. As each new generation enters the real estate market, professionals must prepare themselves for the shift from working with Millennials to Generation Z. Unlike past generations, many of whom remember a time before there was an Internet or cell phones, Gen Z has an affinity for today’s digital world. In fact, 90 percent plan to purchase a home online. And because they live in a time where everything is immediate, this will most certainly impact how they shop for and buy a house. Gen Z has an affinity for today’s digital world. In fact, 90 percent plan to purchase a home online. As a real estate agent, you must position yourself to take advantage of this growing group of potential homebuyers by staying up-to-date on technology, updating your value proposition to appeal to this generation’s needs and desires, and learn all you can about this demographic.